After months of speculation, the Joint Committee on Deficit Reduction–the Super Committee–failed to meet its congressional charge. The Committee’s mandate was to report a plan by November 23 that would produce $1.2 trillion in cuts over ten years, aimed ultimately at putting the country on the road to eliminating the deficit. The “stick” hanging over the Committee, which is still in play, was the threat of sequestration, a process of automatic across-the-board cuts in all discretionary spending: education, health, social services, environmental protection, and all other agencies, including defense and homeland security. More…. With the demise of the Committee, sequestration is supposed to take effect with automatic cuts beginning in January 2013. The Budget Control Act (BCA) which created the Super Committee also spelled out the steps required of the Office of Management and Budget (OMB) if the Super Committee could not agree. The BCA calls for $1.2 trillion in deficit reduction through 2021, $984 billion in budget cuts and $216 billion in reduced interest payments. The $984 billion in budget cuts would be distributed across 2013-2021, equaling $109.3 billion per year. Budget cuts are divided equally between “national defense” (defense, homeland security, etc.) and all other budget areas–health, education, transportation, environment, social services and the rest. That would mean $54.7 billion per year in defense and $54.7 billion per year in non-defense programs. In Fiscal Year 2013 (FY 2013), the $54.7 billion in non-defense cuts will come from both mandatory (entitlement) and discretionary programs, those that are to receive an annual appropriation voted on by Congress. Mandatory program reductions totaling $16 billion will include cuts in Medicare payments to providers and insurance plans and cuts in other areas such as farm subsidies. Several mandatory programs are exempt from this process, including Social Security, Medicaid, Children’s Health Insurance Program (CHIP), SNAP (formerly known as the Food Stamp Program), child nutrition, and Supplemental Security Income (SSI). The remaining $38.7 billion in non-defense cuts in 2013 will come from discretionary programs. These cuts would come through across-the-board proportional reductions in the new funding provided for each discretionary program in the FY 2013 appropriations bills. Veterans’ medical benefits and Pell grants for higher education are exempted from the across-the-board cuts. The bottom line is that a sequestration of $54.7 billion would result in cuts of approximately 9.1 percent in non-defense discretionary programs in FY 2013. This could be devastating to education, health, and social services. LDA has been active in joining with many other national organizations to express our deep concerns over this process. We are monitoring any movements toward sequestration and will keep you posted on actions LDA members should take. With the push for college- and career-readiness, the American Council on Education (ACE) and Pearson, a major education publisher and testing company, have joined forces to revamp the GED test. The new test, which is expected to debut some time in 2014 and will be computer-based, will align with the Common Core State Standards already adopted by 45 states and the District of Columbia. More…. 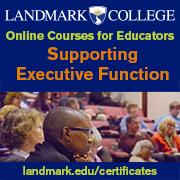 A transition network that connects test-takers to career and postsecondary educational opportunities. As the new test is developed, the newly constituted GED Testing Service will consult with adult learning experts, employers, and higher education institutions to understand what content is essential to give participants the best preparation for future success. The GED Testing Service recognizes the new assessment will be used to evaluate readiness for a variety of postsecondary options, such as requirements for specific jobs or earning a college degree, and addressing these varied options is part of the test development process. The new assessment system will be released sometime in 2014 and will be delivered primarily through computer-based testing. Paper testing will be available only for accommodations or special circumstances. GED Testing Service will be working with nonprofit, governmental, and local programs to ensure professional development opportunities are available for adult education professionals in advance of the release of the new test. Administrators will also receive up-to-date information at the annual summer conference. The five-year currency requirement for documentation of learning disabilities remains at the present time. However, GED Testing Service’s list of acceptable tests for documenting a learning disability will expand greatly. The expanded list will be included on the updated Accommodations Request Forms and be posted at www.GEDtest.org. GED Testing Service will also be posting new Documentation Guidelines for Accommodations that should clarify most general questions about documentation requirements. For additional information on the GED 21st Century Initiative and updates on the new assessments, go to http://gedtestingservice.com/. With the heightened attention to and awareness of the serious problem of bullying and harassment in schools, LDA has renewed its efforts for passage of the Safe Schools Improvement Act. This bill, which was originally introduced several years ago, would amend the Elementary and Secondary Education Act (currently known as No Child Left Behind) to address these issues through better prevention, education, and clear policies expressing consequences for these actions. More…. The Safe Schools Improvement Act is sponsored in the House of Representatives (H.R. 1648) by Representative Linda Sanchez (D-CA) and currently co-sponsored by 123 other House members. The Senate bill (S. 506) is sponsored by Senator Robert Casey (D-PA) with 35 Senate co-sponsors. 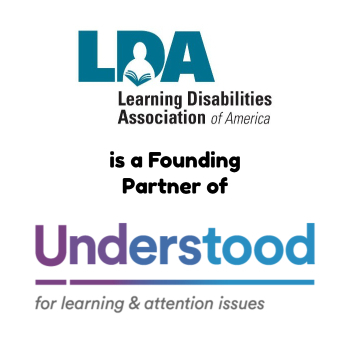 LDA is part of the National Safe Schools Partnership, along with 90 other national education, health, civil rights, youth development and religious organizations in the effort to ensure schools are safe for all children. The bill would require states to collect and report information on incidents of bullying and harassment, conduct an assessment of and report on the need for prevention programs, and provide technical assistance to local school districts and schools in combating these problems. School districts would be required to include prohibitions on bullying and harassment in their discipline policies and develop performance indicators for incidents of bullying and harassment. In addition the federal department of education would report on data and programs addressing these serious issues. In examining the problem, the U.S. Department of Education notes as possible effects of bullying lower academic achievement, increased anxiety, poor self-esteem and confidence, depression and suicidal thoughts, and poor physical health. Students with disabilities are considered to be especially vulnerable and disproportionately impacted by bullying, which may exacerbate already difficult school experiences. More research is needed in this area to determine the full effects of bullying and harassment on students with disabilities. The Center on Education Policy, an independent non-profit policy organization, has released a report examining progress made and challenges faced by school districts as they begin implementation of the Common Core State Standards (Common Core State Standards: Progress and Challenges in School Districts’ Implementation, September 2011; http:// www.cep-dc.org). Forty-five states and the District of Columbia have adopted the CCSS. The five states not currently participating are Alaska, Minnesota, Nebraska, Texas, and Virginia. More…..
Common Core State Standards, released in June 2010, currently cover reading/language arts and mathematics. The intention is that common standards will provide consistency across states and ensure all students in grades K-12 will be acquiring the same knowledge and skills for career- and college readiness. Almost three-fifths of school districts in states that have adopted the CCSS said these standards are more rigorous than their previous state standards and expected improvements in student learning. Two-thirds of the districts have undertaken development of a comprehensive implementation plan and timeline or expect to do so in the 2011-12 school year. The majority also indicated they are developing and/or buying new curriculum materials. Around 76% of the districts see funding for implementation as a major challenge. Another challenge districts noted is a lack of clear state guidance about issues such as adapting teacher evaluation systems to hold teachers accountable for students’ mastery of the standards, creating local assessments that align with CCSS, and looking at how teacher pre-services programs address the content of CCSS. The vast majority (90%) of districts reported little resistance from community, parents, or educators in implementing the standards. Eighty-eight percent of districts reported school and district staff has received information about the CCSS, including a general introduction and, in some instances, participation in planning for implementation. 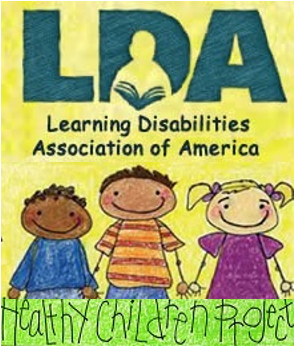 LDA participated in the development of the introductory statement addressing the application of the Common Core Standards to students with disabilities (http://www.corestandards.org/assets/application-for-english-learners.pdf). However, many questions still remain about how the standards will be implemented for students with specific learning disabilities. Some of these include whether additional time will be allowed to master certain subjects, adaptation of curriculum, as appropriate, and use of appropriate accommodations, among other questions. LDA’s Education and Public Policy Committees are monitoring how states are addressing these and other questions.